Prof. Edward Pekarek, assistant director and supervising attorney at Pace Law School’s Investor Rights Clinic, on the rogue trader accused of losing $2 billion for the Swiss Bank UBS. Prof. Edward Pekarek, assistant director and supervising attorney at Pace Law School’s Investor Rights Clinic, is available to speak to the media about the rogue trader accused of losing $2 billion for the Swiss Bank UBS. Assistant director and supervising attorney at Pace Law School’s Investor Rights Clinic, which handles securities arbitrations and mediations before the Financial Industry Regulatory Authority (FINRA) Dispute Resolution forum on behalf of modest means investors. Author of numerous published articles regarding securities, banking and corporate governance issues. In 2007, he authored a scholarly article on the BAWAG bank scandal regarding the nearly billion dollars in concealed trading losses of the bank CEO’s son that later caused the bankruptcy of the largest U.S. commodities broker. His scholarly work has been cited by such notables as former SEC Director of Enforcement Linda Chatman Thomsen, as well as the Levy Economics Institute of Bard College regarding the banking policy doctrine of “too big to fail,” and the RAND Institute for Civil Justice in a report commissioned by the SEC regarding Broker-Dealer and Investment Adviser regulation. 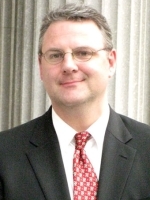 He frequently blogs on securities litigation and arbitration topics on the New York State Bar Association website.